More drawings and a continuation from the post on the 18th of this month. 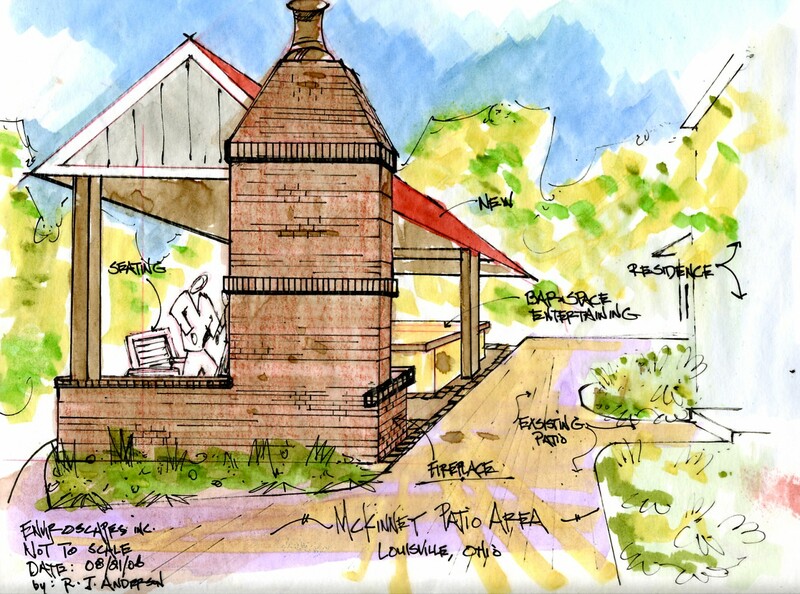 This color rendering is the overlay to show the client the potential for combining all these elements in one space. As of right now the grill is at one end of the backyard and the wet bar is at the other. 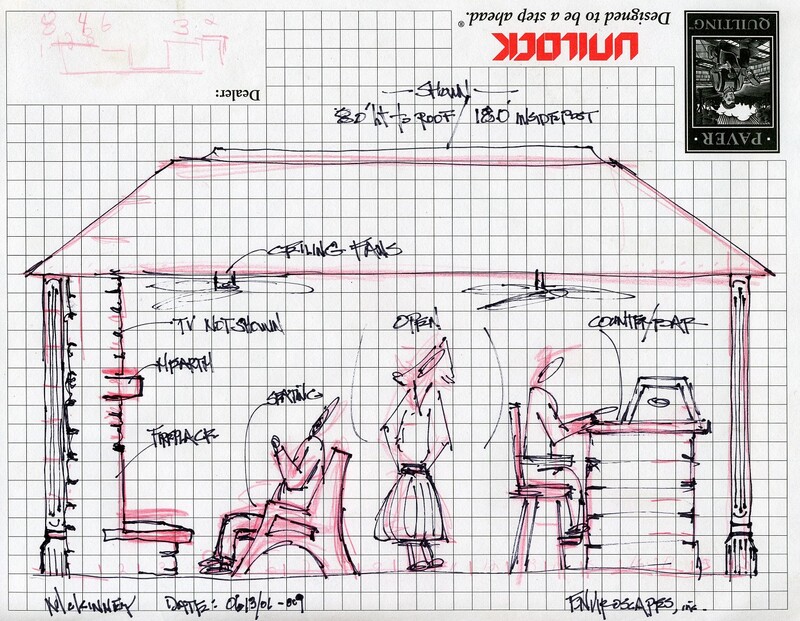 There is no protection from the elements if you exclude to umbrella over the table which is not shown here. Combining the rendering along with the elevation or sectional drawing helps paint a picture which enables the homeowners to move along in their decision making process to creat the best possible use of space for their requirements. This structure will bring everything together under one roof and will extend the use of this patios season in this Zone 5 backyard. 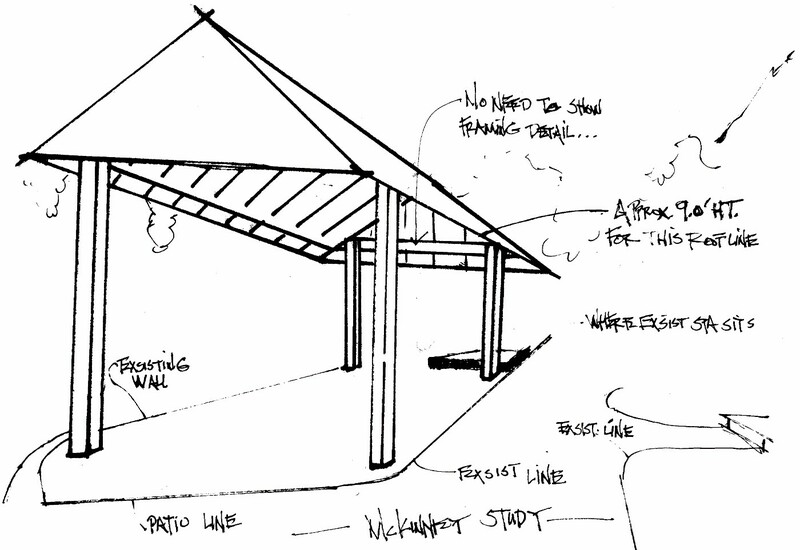 This is a quick study drawing of how the roof line would work out for this design of a new patio space. One point perspective is my goal here, and I am hoping to do an overlay on top of this. whic is what the drawing above is. I could use this drawing and just draw on it, but if the clients reject my proposal on the color rendering I would have to start from scratch, this way I won’t have to do that.